Acne refers to pimples, blemishes, blackheads, zits or whiteheads. While this problem is commonly associated with teenagers, many adults suffer from acne as well. Stress, hormones, environmental factors and more can lead to acne problems, causing individuals embarrassment and slashing their confidence. Outlined below are tips for eliminating acne once and for all so you can have healthy, glowing skin. Keeping your face clean is the key point to removing and preventing acne breakouts. Then you can apply some products containing anti-acne ingredients or homemade anti-acne agents as a further step to clear up your acne. Cleansing . Create a cleansing routine, washing your face each morning and before bed. This alone can significantly reduce acne breakouts. Wash your face for at least a minute to ensure that all bacteria are killed. Make sure to wash away any makeup before going to bed as these products can increase acne outbreaks while damaging the skin. Use oil free products that will not clog the pores during this step. Also wash any other areas where acne appears during this ritual such as your chest, back or shoulders. Exfoliating. Exfoliating products are used to gently remove dead skin cells that can build up and create a place for acne-causing bacteria to grow. You can purchase an exfoliant or make one using household ingredients. Those with dry skin can add coffee grounds to their regular cleansing product. A standard treatment can be made by creating a paste made from water and baking soda and applying it with a circular motion on the face. Those with sensitive skin can use a gentler treatment by mixing oatmeal with honey and rubbing it on the face for 2-3 minutes before rinsing it away. Toning. After you wash and exfoliate you should apply a toner to the face that will help tighten the pores so oil and dirt cannot become trapped and create a home for harmful bacteria. Toners designed for acne sufferers are readily available at drugstores, but you can also apply products like apple cider vinegar or witch hazel. Apply toners with cotton balls and allow them to sit on the skin rather than rinsing them away. Moisturizing. If your skin is dehydrated your body will produce excess oil to combat this dryness, leading to more breakouts. Applying a gentle moisturizer after you wash your face each day can help to reduce these troubles. Benzoyl peroxide soaps or lotions are designed to remove dead skin cells so clean, uninfected cells can grow in more quickly. However, you should focus on using products that contain 3 percent or less benzoyl peroxide as intense concentrations of this product can cause irritation to the skin. Salicylic acid also works to remove dead skin cells so it is easier for new skin to grow. Products with this ingredient are designed for spot treatments to remove specific blemishes. Salicylic acid will frequently cause dryness or scaling around the areas where the product was applied, but these side effects should reduce over time. Sulfur can help to slow oil production to help reduce blemishes. Use cleansers containing sulfur to get rid of acne. Retinoid creams contain a large amount of vitamin A which can help to cleanse the pores, removing the mixture of dirt, bacteria and oil that can become trapped here. Some retinoid products are available over the counter, but you may need to get a prescription from your doctor for higher strength doses. Azelaic acid can help to take down inflammation and redness caused by the bacteria that create blemishes. This product can also help to address dark marks on the skin that acne breakouts can leave behind. 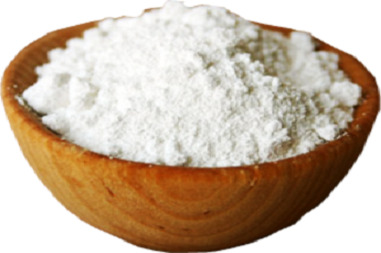 Create a paste from water and baking soda and apply it to your pimples each night just before bed. In the morning rinse away the paste and scrub away any buildup of dead skin and bacteria. 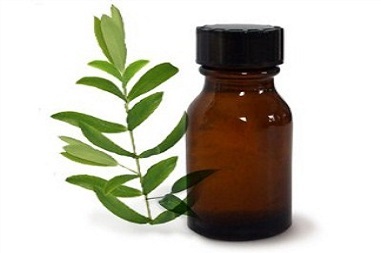 Tea tree oil is known for its antibacterial products that are ideal for removing microbes that clog the pores on the skin. Use a cotton swab to place a small amount of the oil on each blemish. Avoid large applications of this product, as too much oil can burn the skin and increase redness. 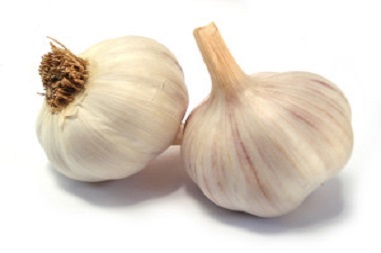 Grind 2-3 cloves of garlic with water as needed with a mortar and pestle to create a paste. Apply this paste to acne blemishes for around 15 minutes each day before washing the skin with cool water. 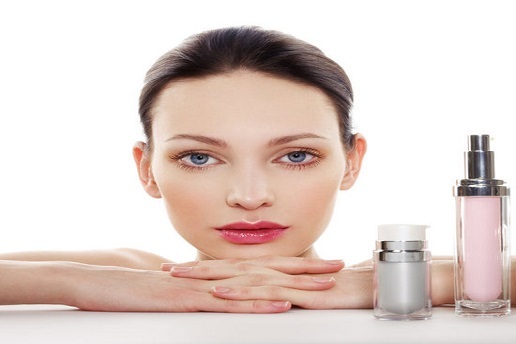 Do not leave the paste in place for long periods of time as this can damage the skin. Oatmeal can soothe skin irritation while cucumber combats dark spots and redness. 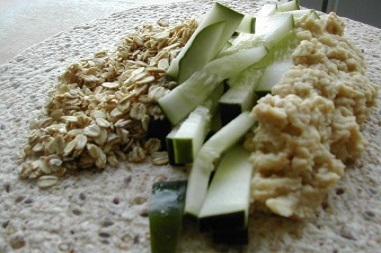 Blend equal parts oatmeal and cucumber in a food processer, creating a paste. Apply this remedy to the skin, leaving it in place for 15-20 minutes. Then wash the face with warm water. 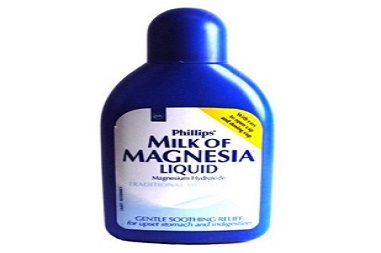 Milk of magnesia has a long history of assisting with acne. Apply milk of magnesia to acne affected skin using a cotton wool pad and leave it in place for around an hour, rinsing the milk off with water afterward. Perform this ritual 2-3 times daily. Apart frrm home remedies, there are dermatological treatments for you to get rid of acne and help your skin return to normal. Spa Facial. Spa facials combine extraction tools, cleansers and masks to remove acne on your face. Facial Peel. Peels are performed by applying an acidic gel to the face that will remove bacteria and skin cells. Microdermabrasion. Microdermabrasion treatments occur over weeks or months to sand away the outermost layers of skin to remove acne blemishes and marks. Laser Treatment. Laser blasts can be used to kill off oil producing glands that are overactive to reduce the appearance of acne by 50 percent. Light Treatment. Mild pulses of colored light can be used to kill off bacteria that lead to acne. Prescription Drugs. Some medications can be used to kill off acne. These should be taken under direct medical supervision as they can cause severe side effects in some users.